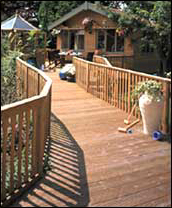 Timber decking is the great lifestyle theme of the garden and Direct Decking is a superb way of extending your home outdoors. 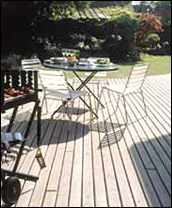 Timber decking is an extremely flexible way to enhance your living space - while improving your garden's appeal. Currently available with some terrific offers on shipping costs - call 01452 300220 today for details.